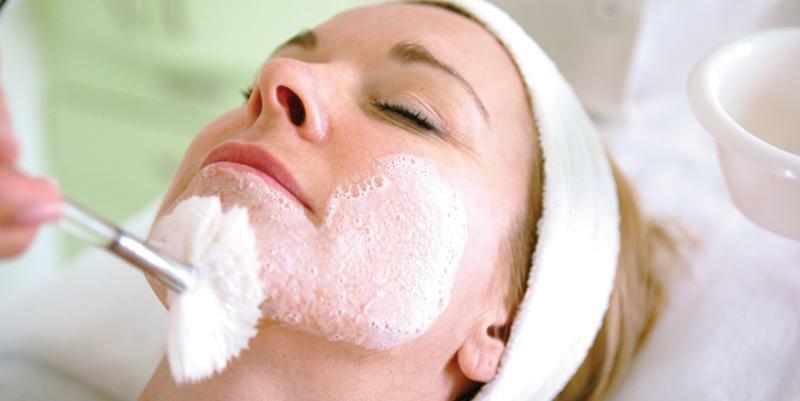 Your treatment starts with your DMK therapist customizing a cleanse and pre-exfoliation based on your skin condition. The cleanse will give your skin a fresh, revitalized feeling with a slight tingle. Next, we apply the Enzyme Masque which stays on from 30 – 45 minutes depending on your skin’s needs. The masque draws out toxins and fluids from your skin as well as removes dead skin cells and works your facial muscles to leave your skin looking toned and firm. 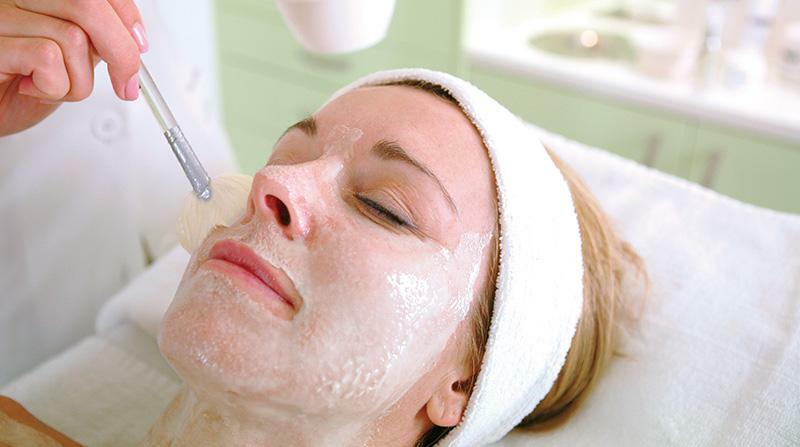 After the masque is removed, we cleanse your face again and then apply the transdermal infusion. The infusion is customized to your skin’s needs by our DMK Therapist and consists of active ingredients, vitamins, and minerals. After your treatment, your skin will look and feel smooth and supple, but you may experience some redness. This is just the blood drawing to the surface of your skin and will subside after just a couple of days. Your skin will appear healthier and more radiant. For maximum benefits, a series of DMK Enzyme Masque treatments is recommended. Once you have achieved the desired results, our expert therapist can recommend a maintenance program to ensure that your skin stays vibrant and healthy. THE RESULT After your treatment, your skin will look and feel smooth and supple, but you may experience some redness. This is just the blood drawing to the surface of your skin and will subside after just a couple of days. Your skin will appear healthier and more radiant. POST TREATMENT For maximum benefits, a series of DMK Enzyme Masque treatments is recommended. Once you have achieved the desired results, our expert therapist can recommend a maintenance program to ensure that your skin stays vibrant and healthy. 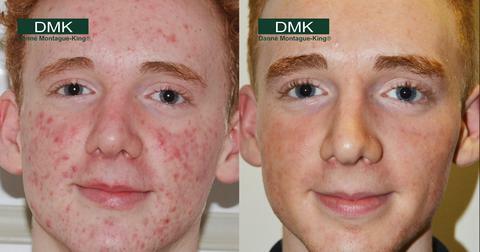 DMK Enzyme Therapy treatments act on three very important systems of the body. The Facial Muscles The enzyme treatment stimulates the facial muscles enabling them to become stronger, providing a more youthful appearance. 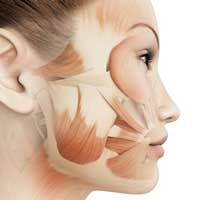 The tightening action of the enzyme treatment has the effect of actually exercising the facial muscles. This tones and tightens the facial muscles without having to physically exercise them yourself. The result is firmer, smoother, tighter skin. The Blood Vessels of Your Skin Your skin is dependant on a rich supply of blood and healthy, properly functioning blood vessels to transport the blood to the skin cells. 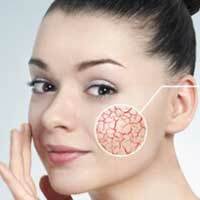 Your face, in particular, has many blood vessels. DMK Enzyme Treatments act on the blood vessels by causing them to become dilated which allows a greater supply of oxygen-rich blood to flow to the skin in order to nourish it. The backflushing action of the Enzyme treatments remove impurities and stimulate the lymphatic system. The Lymphatic System The lymphatic system of the body is the filtering system for the blood. 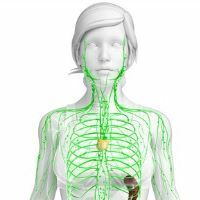 The lymphatic system consists of a network of lymph nodes, lymph and lymph vessels found in various regions throughout the body including the face and neck. Specially formulated enzymes act on the lymph nodes to encourage a drainage effect. 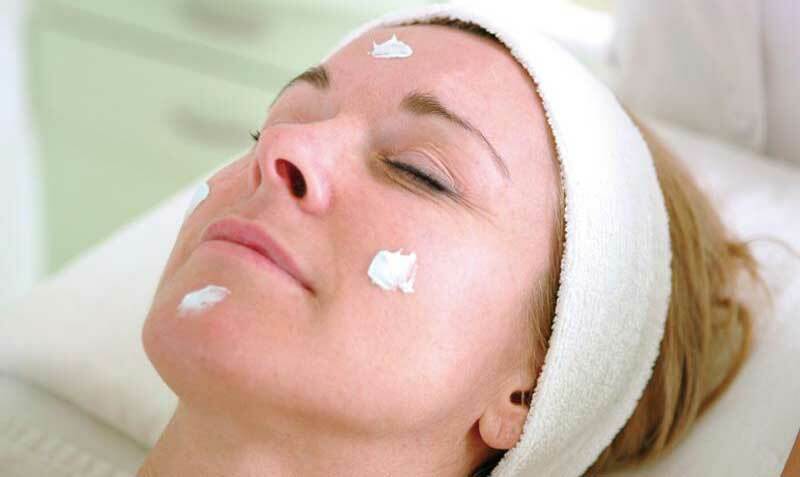 The lymph drainage action is felt by the client as the tightening and pulsating of the enzyme masque. As the blood vessels and lymph nodes respond to the actions induced by the enzyme treatment, a peculiar effect is produced. This is known as the Plasmatic Effect.